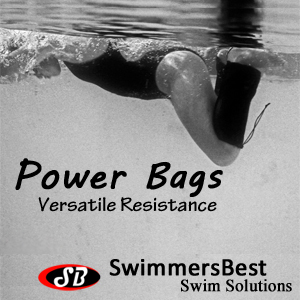 At Berzerker Swimming we do our best to focus on distance per stroke with our younger age groups, with the philosophy that if we teach efficiency first we can add tempo and power in later stages of development. 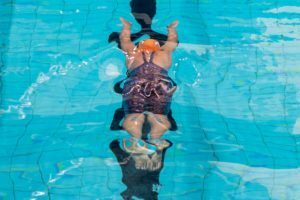 In breaststroke, that can often mean we focus on an exaggeration of body line mechanics and how they relate to all aspects of stroke technique. 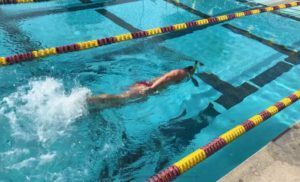 Underwater Breaststroke Kick: This drill requires starting with a perfect streamline position out of the wall, maintaining the line throughout the rest of the length of the pool while adding the kick. We focus on aiming the kick straight back, not allowing our force to go off at any angle that diminishes forward propulsion along the line carried through the torso to the fingertips. The back of the ears should be covered by the arms, eyes should look down, the back should be flat, and feet should grab “handfuls” of water and fire them back in the same line. 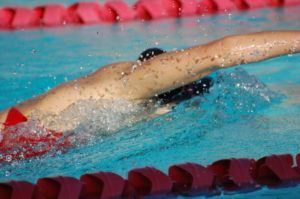 Underwater Breaststroke: Building upon the underwater kick drill, the body line should be maintained while also adding a pull. 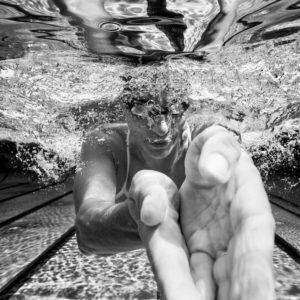 Mind you that this is not a traditional breaststroke pull-out sized pull, but roughly mimics the way the breaststroke pull would be performed if we could maintain the body line in full stroke with no breaths or undulations of any kind. A major focus of this drill is being “slippery” by finding the most efficient way to transition from the propulsive “backwards” component of the pull into the forward recovery. We have found that this drill can help to correct pulling patters for athletes who tend to pull under their bodies or who struggle with recovering their hands forward without creating too much turbulence. This drill can also help with stroke timing, as when we have major dead spots it is often easy to tell, and athletes can be asked to focus sharply on creating continuous propulsion and minimizing resistance created by inefficient recovery technique or poor body line. 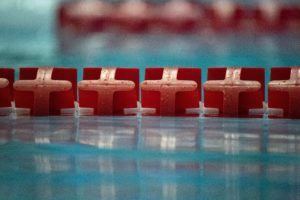 2-Kick Breaststroke: This drill builds on the prior drills by adding a technically correct pull and breath, but still allows the athlete to exaggerate the straight body line. We have found that this drill can help some athletes to better “set-up” the pull to make it clean, strong, and well-timed with the kick and body undulation. 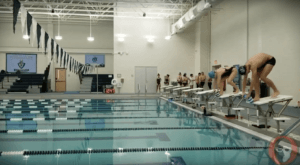 I,Y Lean Breaststroke: This drill builds upon this progression by removing the second kick, but maintaining the “set-up” by asking athletes to make a pronounced “freeze” when the hands are at the I and Y position. We want our athletes to stop at I to make sure their posture has maintained the perfect line. We want the stop at Y to make sure that the athlete is still leaned forward onto the most buoyant parts of our bodies, just enough for the hips to maintain their position at the surface. 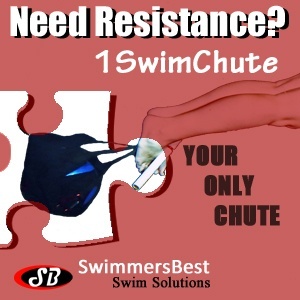 This gives them the best body position for the least drag and best leverage when beginning propulsion through the pull phase. We find that if we have our athletes squeeze the legs together at the end of the kick until they reach Y position, their heels tend to recover at the most natural timing for least resistance as well. 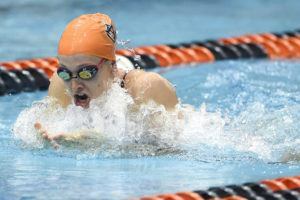 Some athletes claim that they have a “different technique” for the 100 and 200 breaststroke race distances. I fully agree with this sentiment, but with limits… we teach our athletes that when sprinting breaststroke, even if we don’t exaggerate the body line, forward lean and set-up that are the focus of these drills, the body line and timing of all of these aspects still matter. We emphasize making sure that the kick must finish, even if only for a hundredth of a second, before the hands reach Y position. We get maximum propulsion from the kick only if we minimize resistance, so go ahead and crank up that tempo– just be sure to complete the kick before leaving the least resistant body position for the pull!